Greg joined the company in 2009 and is responsible for legal oversight and new project development for the company. His previous employment includes serving as Corporate Counsel for Woodbury Corporation, as Corporate Counsel for NovaSource Management, Inc., and as managing partner in the law firm of Walker, Steiner & Schmidt, P.C. Greg’s areas of expertise include real estate development, leasing, and acquisitions. 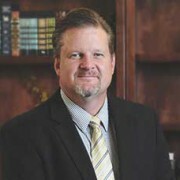 He received a Bachelors in Business Management from the University of Utah and a Juris Doctorate from Brigham Young University, J. Reuben Clark Law School.